Enjoy the festive season with us! 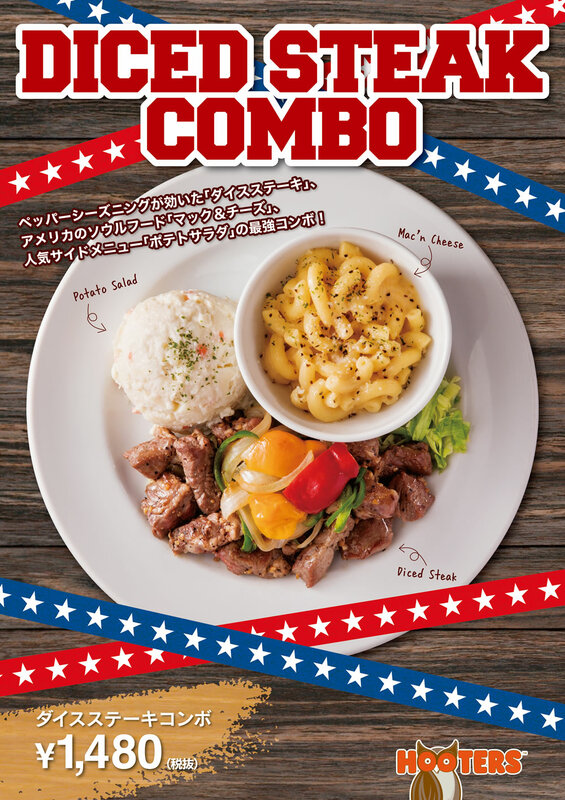 For a limited time only from December 1st, HOOTERS is offering a delicious “Steak Combo” that consists of Pepper diced steak, Mac’ cheese, and potato salad. Please contact your nearest location for details!